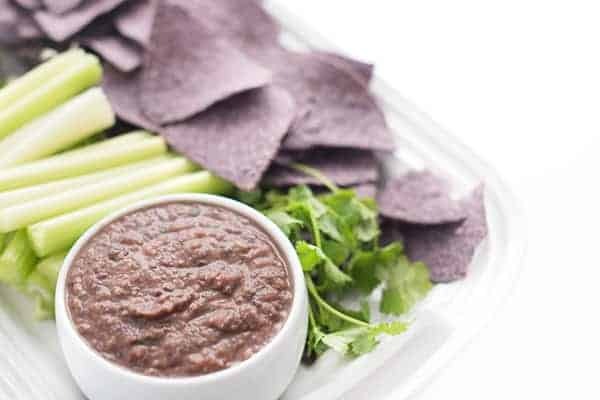 This fresh and flavorful black bean dip recipe is made with lime juice, cilantro and smoked paprika. Ideal for healthy snacking or entertaining friends! Snacks are my jam, especially healthy snacks. 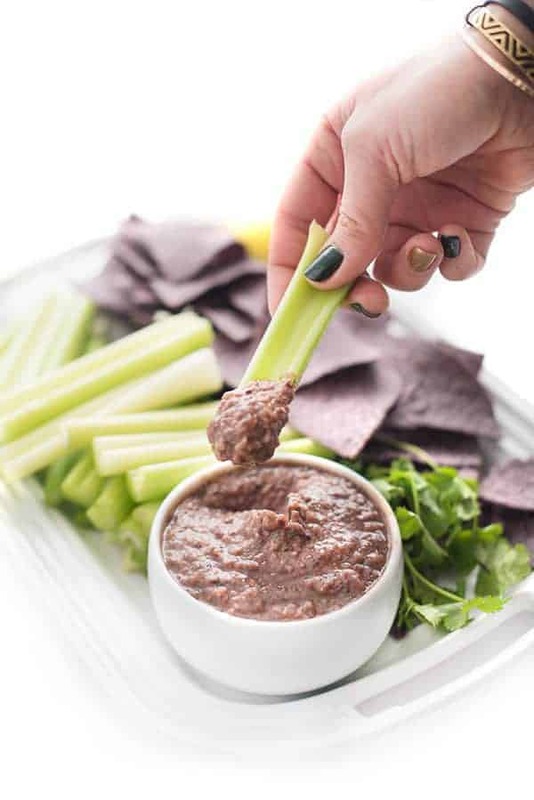 Whether it’s to refuel after a workout, tide my hungry kiddos over before dinner or serve at an impromptu get together with friends, I always keep my pantry stocked with the ingredients to whip up a quick and easy bean dip. 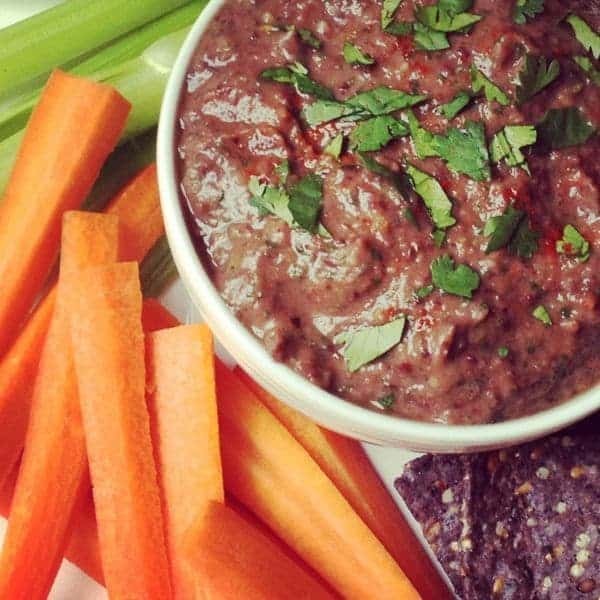 With the big game right around the corner, this black bean dip is sure to be a home run. (Oops…touch down? I’m not much of a sports person.) Regardless, this dip couldn’t be easier to make and comes together in just minutes. You simply pulse together black beans with fresh cilantro, salsa, lime juice, garlic and spices until thick and creamy. Since dips can be a bit of a slippery slope when eating them with tortilla chips, I always keep my fridge stocked with Dandy celery sticks. They give me that crispy, crunchy texture I’m looking for without packing on the fat and calories. 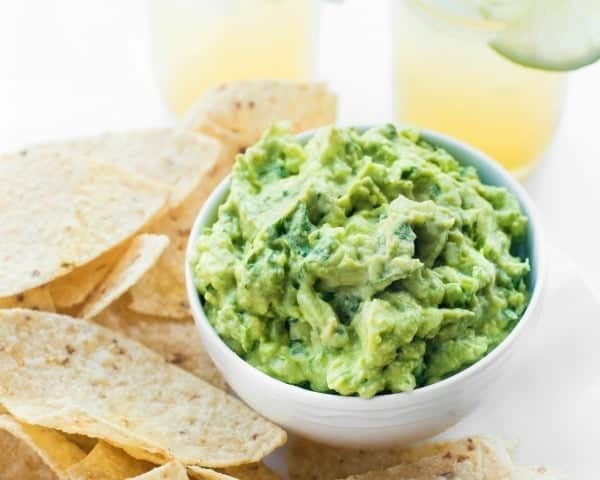 I like to save my fat calories for the healthy kind found in guacamole, if you know what I mean. Disclosure: Duda Farm Fresh Foods has compensated me for my time to develop this recipe. Thank you for supporting the brands that make The Lemon Bowl possible. All thoughts are my own. 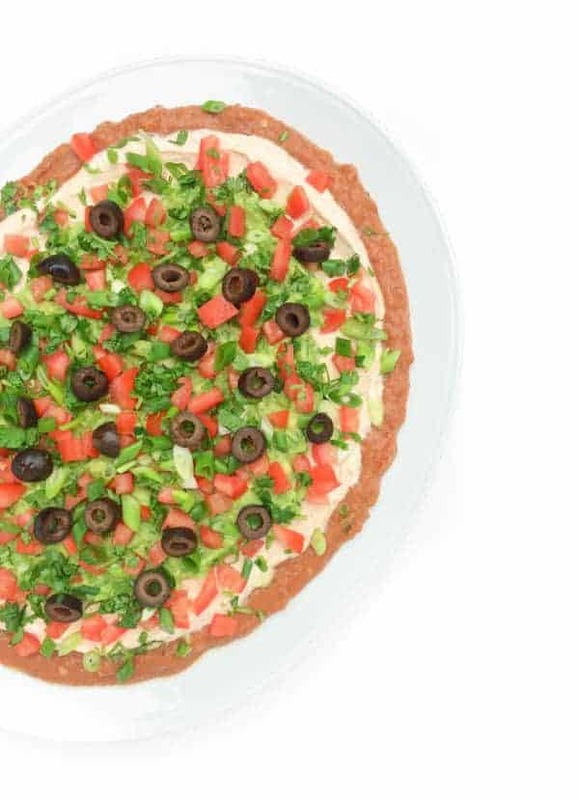 Check out my Pinterest board to see more healthy appetizer recipes! It’s always smart to have a good bean dip recipe in your back pocket. This looks so good! Perfect with celery!! And this black bean dip is so packed with flavor—it would be hard to resist!! This dip looks so creamy! 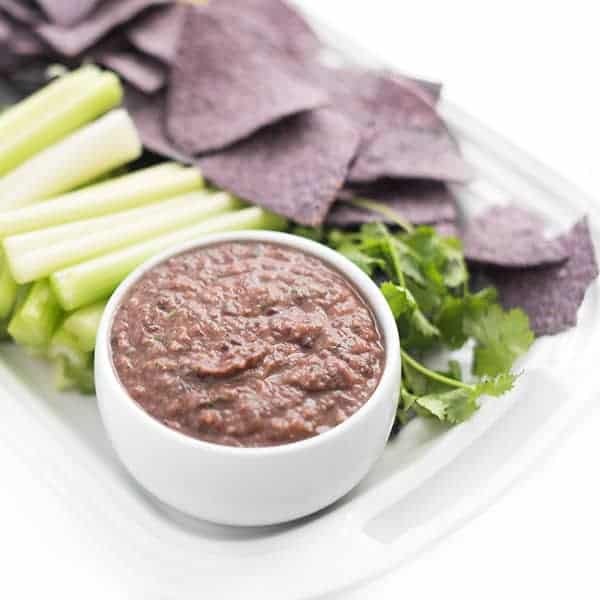 I love a good black bean dip–not only is it healthy and high protein but it is easy to make. The celery is a perfect crisp, cool combo! I think this could actually make me fall in love with black beans! Can’t wait to try! 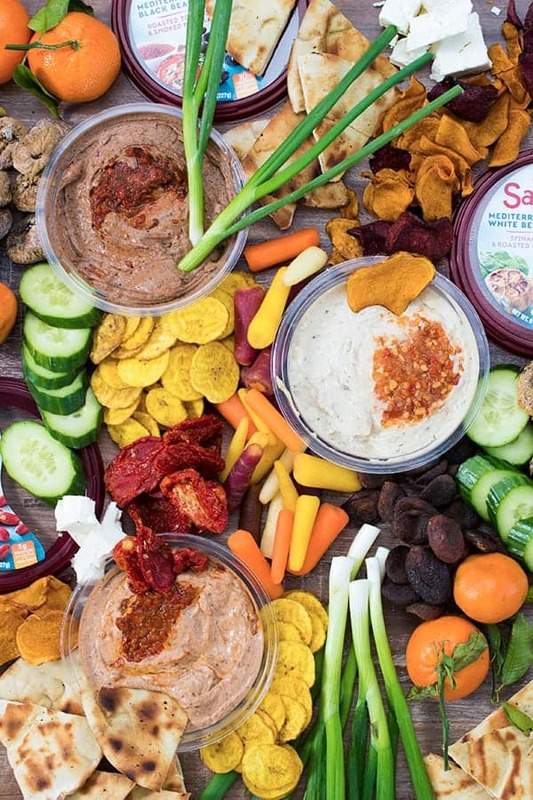 We would go nuts over this dip!!! This is such a yummy dip! I made twice with and without jalapeno. Both came out great! Thanks for sharing. After reading this, it is now my official New veg dip recipe! Love all that fresh garlic, fresh cilantro and the cayenne! I’ll try adding cumin in too but this is the one for me. thanks!! I’m so glad you like it Lori!! Enjoy!! I made this, but only used 1/2 tsp. of cayenne and smoked paprika. I think that was plenty. Also, I didn’t have cilantro. It’s a very tasty dip and nutritious as well. It took about three minutes to make. I ate it with tortilla chips and avocado. It’s also good spooned into an avocado half with cheese on top melted under the broiler. Yummy. Love the idea of the avocado1! !